Let’s face it: most people who come to Peru with the dream of hiking to Machu Picchu want to do so by hiking the famous Inca Trail. With its massive and ever-growing popularity, however, it can be hard to actually get a spot hiking the Inca Trail. 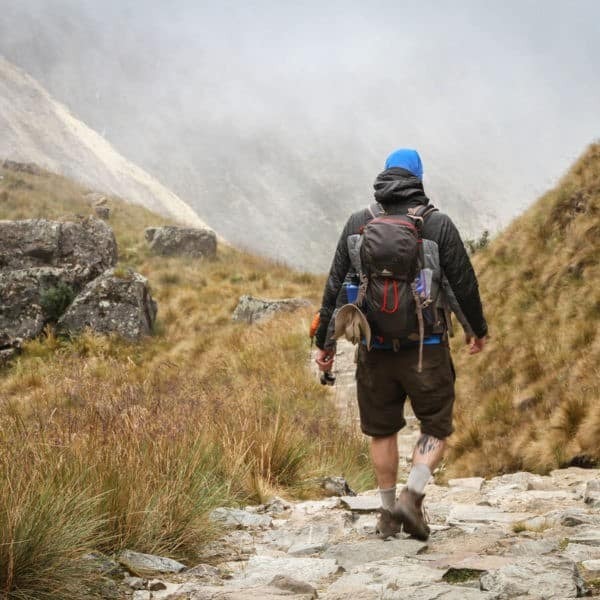 Government regulations limit the number of people who can hike the Inca Trail to just 500 per day – and that’s not just hikers but guides and porters, too – and permits can sell out as much as six months in advance. Salkantay vs Lares: What is the Best Alternative to the Inca Trail? 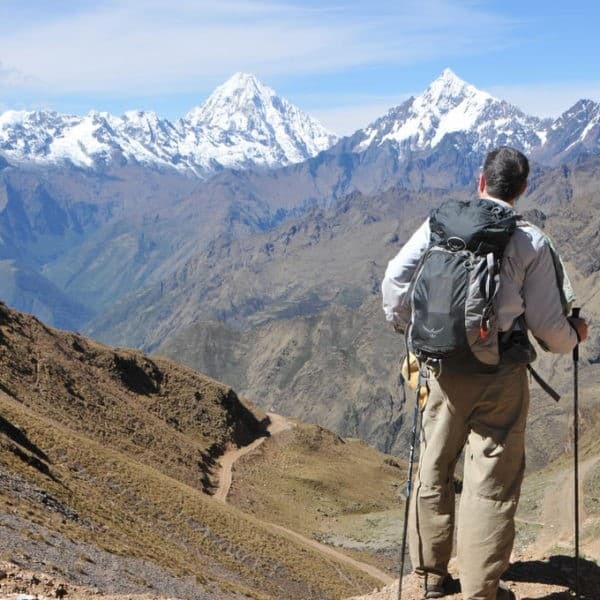 When Inca Trail permits sell out, most people turn to either the Salkantay Trek or the Lares Trek as the “next-best-thing,” good alternative treks to the Inca Trail. Many people wonder about the difference between these two alternative Andean treks, and wonder which one is the “best” alternative trek to the Inca Trail. In our humble opinion, both treks are great and have different things to offer. Here we try to walk you through some of the pros and cons of each route and their highlights, to help you make an informed decision about what is the best Andean hike for you. >> Read more about alternative hiking in the Andes in our Definitive Guide to Alternative Trekking in Peru! The Salkantay Trek (also known as the Sallqantay or Salcantay trek) is probably the second-most famous trek in the Peruvian Andes. When the Inca Trail started to get more and more crowded and the government decided to impose regulations limiting the number of annual trekkers, local trek operators jumped on the Salkantay trek route as “the” alternative trek to the Inca Trail, giving it a head start on the other alternative treks in the region. The Salkantay mountain is an important apu in the Andean region, and the second-highest peak in the Vilcabamba mountain range. Located about 60km (40mi) northwest of Cusco city, the name Salkantay comes from the Quechua word sallqa which means wild, savage or invincible. Interestingly, although not visible from Machu Picchu itself, during the rainy season (November-March), the Southern Cross constellation sits directly above Salkantay’s peak, as viewed from Machu Picchu’s main sundial. As a result, the ancient Incas associated Apu Salkantay with weather, rain and fertility. >>Check out our Salkantay treks to Machu Picchu! The Salkantay trek takes you over soaring mountain passes (located at an altitude of 4600m / 15,092 ft), passed snow-capped peaks, and down into the Andean jungle at just about 1000m above sea level. 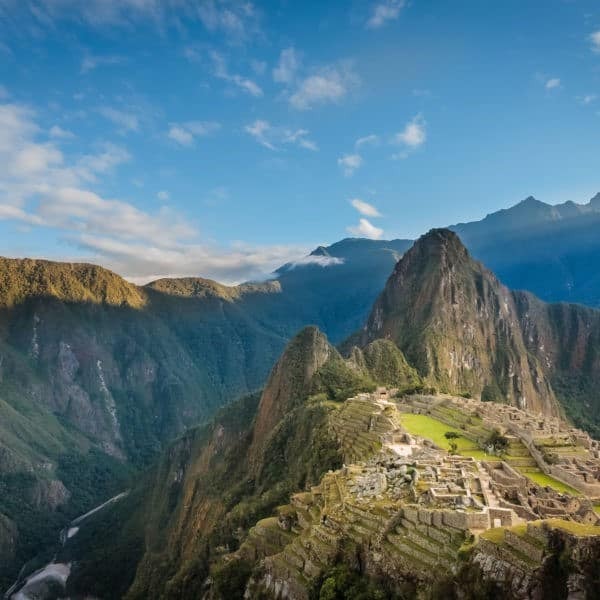 It’s an incredible journey through changing scenery, with additional options near the end to hike up to see Incan ruins or even take a thrilling ride on a zipline. The Salkantay trek is only available during dry season (April-October) as the chance of mudslides makes it dangerous to hike during rainy season (November-March). 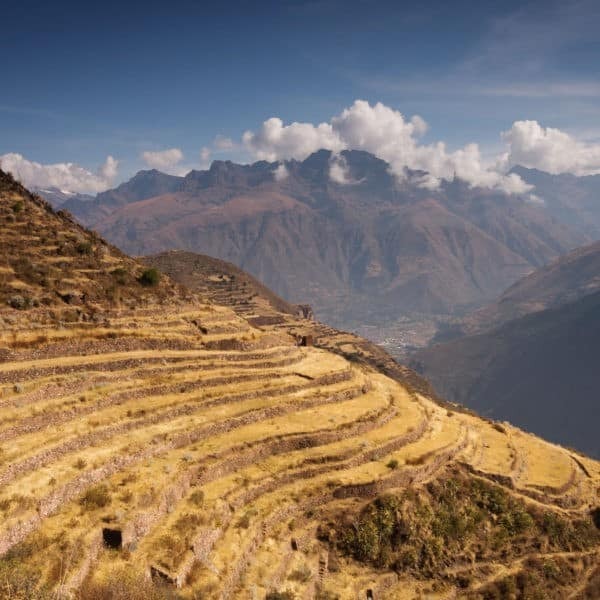 Another popular alternative to the Inca Trail is the Lares Valley Trek. The Lares Valley is situated in the eastern part of the Urubamba mountain range and is accessed via the Sacred Valley. Despite its reputation as a good alternative to the Inca Trail, the Lares trek is much less frequented by trekkers and you are likely to see hardly another soul on this route. The Lares trek will either begin or end with a stop at the Lares hot springs for a luxurious soak in natural thermal baths. The hike travels through Andean tundra and over some high mountain passes (4400m / 14,436 ft) with views of stunning glacial lakes. >>Read more about our treks to the Lares Valley! However, one of the best things about the Lares Valley trek is the chance to immerse yourself in contemporary Andean culture. 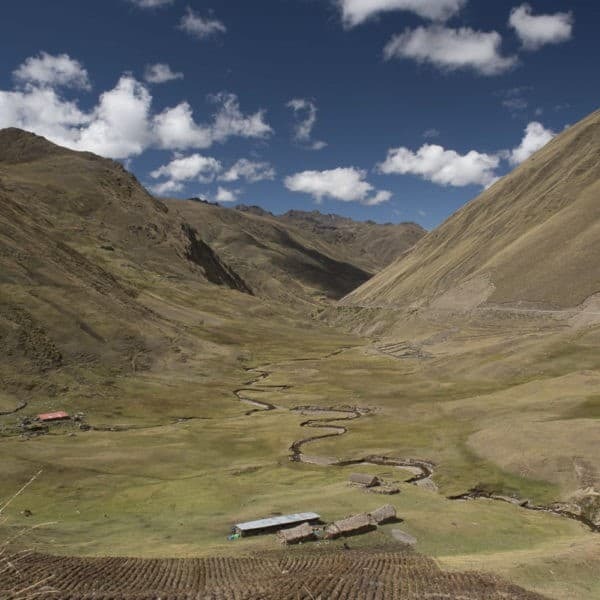 The route passes near several Andean villages where Quechua-speaking indigenous people continue to practice a traditional, mainly agrarian lifestyle. Quechua culture is renowned for its vibrant textile tradition and you are likely to see women in their colourful dress spinning yarn on a traditional drop spindle or weaving on a backstrap loom. How are Apus Peru’s Lares Valley Treks unique? Our multiple Lares trek routes are different than the norm, getting you off the beaten track. We have worked in community development in the Lares Valley communities since 2007, including supporting the local school. As a result, we have a very close relationship with the people there, many of whom work as part of our trek staff, from porters to cooks to muleteers. Apus Peru’s sister non-profit organization, Threads of Peru, also works with the weavers of Chaullacocha. Travelers who hike many of our Lares Valley Treks often get a chance to visit the school and the weaving association – this is a totally different experience than the average Lares trek! Please tell us at the time of booking if visiting the weaving association or school is important to you!